Seven areas of potential Solicitor’s Negligence to look at to see if you have a right to claim. 1. A Solicitor owes a duty to clients directly, and even to those who are not clients (beneficiaries under a Will). The solicitor must know, or ought to know, who will be relying on his/her skill. We sometimes say in our office, “We advise, the client decides”, but that’s not sufficient. The client (you) need to be told the reality as the solicitor sees it. Fine if they both agree on the way forward. 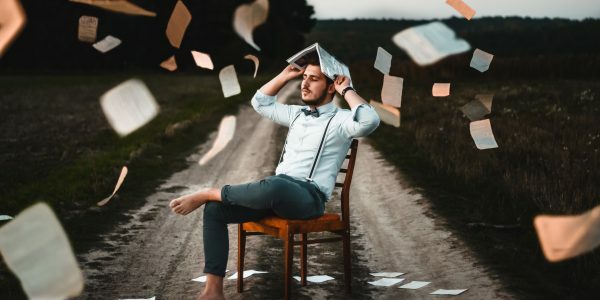 If, however, after getting the advice from the solicitor, the client takes a different action, then the solicitor should write to the client to point out the facts and note the route the client is taking may not be in their best interest. 2. The law expects the solicitor to follow what is the common practice in the business. For example, buying a property, it is common practice to advise to get an engineer to look at the property. To fail to advise this is negligent. If client then decided not to employ an engineer, the solicitor should get that signed by the client and they cannot be sued if some problem arises with the house. In relation to instructions, the solicitor cannot blindly follow what the client has said. 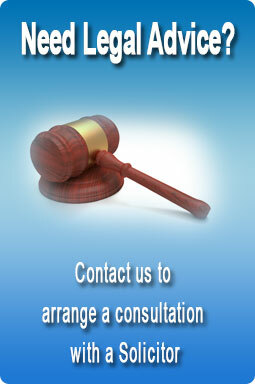 The solicitor must weigh up the instructions they have received and bring their expertise to the situation. If the client wants to have the benefit of the solicitor’s expert knowledge, the client must listen to what the solicitor says. The solicitor, in turn, has to look behind what the client is trying to achieve and not look blindly at just the instructions. This has been the thinking of any of the Court cases where negligence matters have come before them. Where extra care is needed. The solicitor has to protect the elderly against undue influence of family and in-laws sometimes are an issue. They also have to protect the client against themselves sometimes. In all cases, the solicitor should get back-up of medical advice to ensure the client understands what’s happening or the documents they are signing. If the solicitor holds out that he or she is an expert in a particular area – they better know it! If a very specialist area, there may be a higher charge for the client for that expertise. It in turn carries a higher responsibility to get things right. If the work is taken on by an expert but is delegated to a junior employee, that solicitor will be responsible for the work of that employee as if they had done the work themselves. The solicitor must protect the client from problems that arise and keep the client informed right through any transaction. The seller’s solicitor may owe a duty to the buyer in certain cases, especially in replies to any queries raised. Remember, there is no purchase or sale in place until both parties have signed the contracts and they are sent back to the purchaser’s solicitor. Remember, you are to be advised to get an engineer to inspect the property you propose to purchase. Here, the solicitor owes a duty to carry out the terms of a Will. Failure to carry out, and if a loss is suffered by intended beneficiaries, the solicitor can be liable. If the Will is not prepared and witnessed correctly, then again the solicitor is liable. The level of compensation will be determined by the level of loss of benefit. If someone had entitlement under a previous Will, they cannot follow the solicitor who prepares a new Will on new instructions. However, if a Will is drafted and left unsigned and a loss is suffered by intended beneficiaries, the solicitor here is liable. No delay should be allowed between the drafting and signing and witnessing. Although, in law, a solicitor is allowed “a reasonable time”, but to be safe, a Will should be signed as soon as possible after drafting. Don’t wait for the person to come back into the office “the next time in town”. With modern word-processors, there is no need for delay or adding on extra “bits” (Codicils) to be added. Re-do the Will in one document, is the best course of action. Claims that arise here can be where the solicitor has not issued the claim within the time period allowed. For example, with personal injury claim in Ireland you are allowed two years to lodge the Injuries Board application from the date of the accident. While it seems a long time, sometimes clients don’t always think of claiming for some time after the accident and once the solicitor is notified of intention to claim, the onus is on the solicitor to move matters on as soon as possible, bearing in mind the two year deadline. Solicitors deal with the preparation of a case, and in Ireland the barrister runs the case or settles it on the best terms. Therefore, if the solicitor puts the case before a barrister and acts on his advice, they can’t be sued for negligence. Solicitor must employ a competent barrister. He must give Counsel all the information provided by the client. Failure to employ a Counsel where there is some doubt of success on the case exists and failure to take Counsel’s advice and to provide it to the client can be deemed negligent. These seven pointers give you some idea to gauge how your case was dealt with. Was part of your claim left out when it went to Court? Was there a collusion between the solicitor and third parties in the drafting of a Will? All these headings are to give you some guidance in relation to considering your particular situation. We can advise you in more detail if you contact us to discuss.